GMO free. No added preservatives. Vegetarian. Vegan. 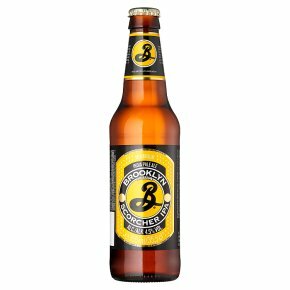 Brooklyn Scorcher IPA is a surprisingly sessionable IPA. A floral, piney aroma strikes first, followed by a burst of mouthwatering bitterness as the hops begin their attack. Suddenly, a hint of toasty malt and a clean, lively finish burst in to leave you thirsty for more. It's ludicrously tasty, and at a reasonable 4.5%, it's a beer you can come back to again and again.